In my home, we love to bake. We also love to celebrate. It’s just the way I’ve raised my boys. We celebrate special occasions. We celebrate everyday occasions. We simply celebrate. Because celebration is a way of life in my home, it’s important for me to have an arsenal of quick and easy recipes that we can whip up together for any number of occasions. 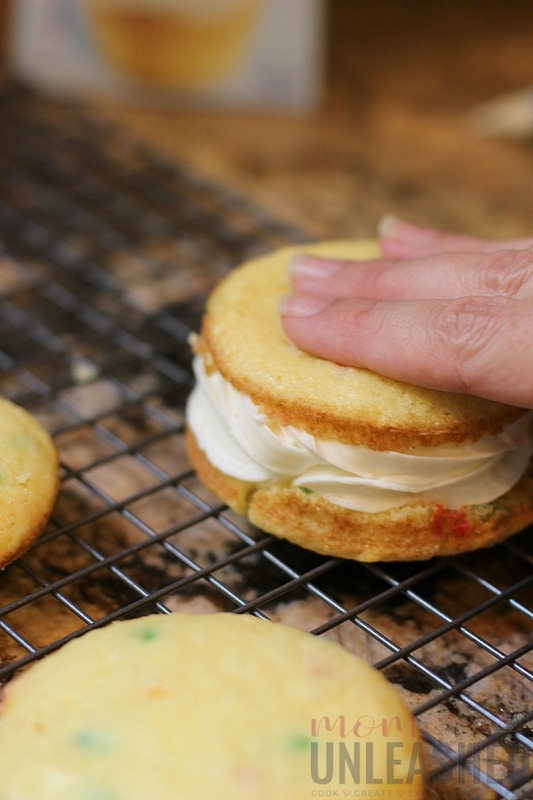 While my guys love a good cake and are crazy about cupcakes, during the warm summer months there is nothing they like better than helping me whip up my Quick and Easy Whoopie Pies made with Pillsbury™ Filled Pastry Bags from Walmart. This simple yet festive creation is as much fun to make as it is to eat and the best part is, it’s crazy easy! Read on to find out our shortcuts to whipping up these celebration worthy Quick and Easy Whoopie Pies so that you can make them tonight! I’ll be truthful, there is never a bad time to bake in my home. However, when we can take baking and make it simple and STILL come up with a totally amazing creation, well that’s worth getting excited about. You see, I’d probably bake much more often with the boys if creating those special treats didn’t get so messy….if it was just easier. Well, guess what? Now it is! Thanks to Pillsbury Filled Pastry Bags at Walmart, creation and clean up of these Quick and Easy Whoopie Pies is a breeze! Let’s get started making them! These quick and easy whoopie pies are perfect for celebrating summer's special moments and are a breeze to make thanks to Pillsbury Filled Pastry Bags from Walmart! 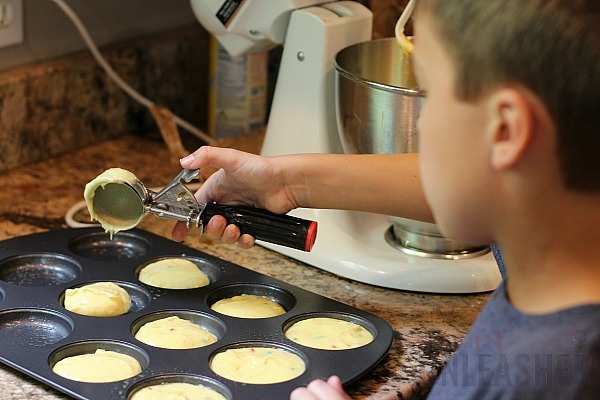 Add the Funfetti® cake mix, eggs, water, vegetable oil and pudding mix to the blender. Spoon mixture into Whoopie Pie pan or pips in circles onto a linked backing sheet. Place on a cooling sheet and let them cool completely. Pipe Pillsbury Filled Pastry Bag in Vanilla directly onto bottom of one side of Whoopie Pie. Add the top of the Whoopie Pie and gently push down. 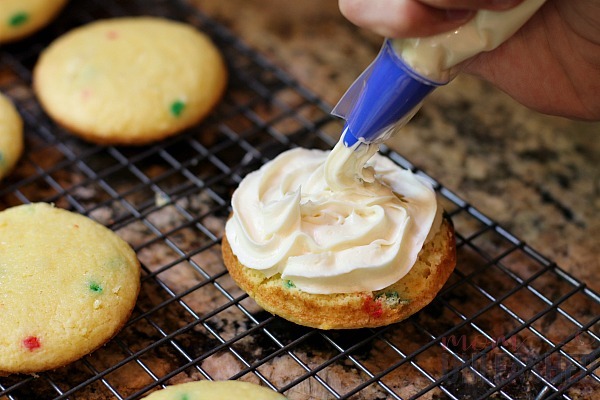 Add sprinkles to the sides and top. Over the years when I’ve made Whoopie Pies, it’s been time consuming and messy. 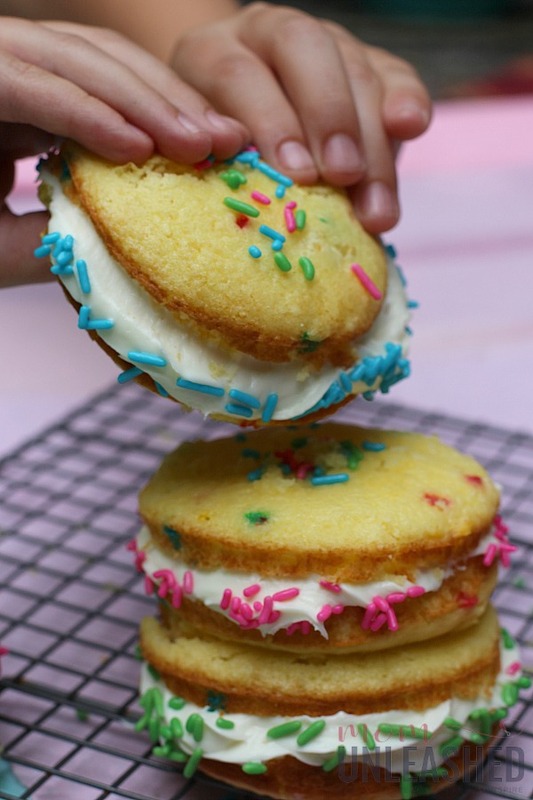 But these Quick and Easy Whoopie Pies are the exact opposite of that! In fact, they are actually fun to make! 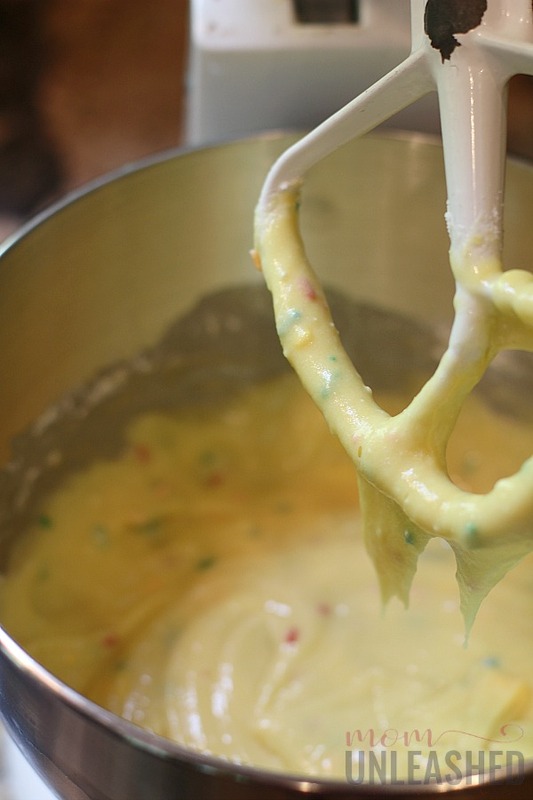 To start, I mixed together my Pillsbury Funfetti® cake mix, eggs, water, vegetable oil and pudding mix in my blender until it was smooth and creamy. As soon as my batter was ready, I pulled out my Whoopie Pie pan and let my littlest use an ice cream scoop to fill each opening about two thirds of the way full. After gently tapping my pan to level out the batter, I placed in into the oven on 350 degrees for about ten minutes, checking the center with a toothpick often to ensure that my Whoopie Pie pieces were done but not overcooked. As soon as they were cooked perfectly, I removed them from the oven and allowed them to cool completely. Once they were cool, it was time to assemble my Quick and Easy Whoopie Pies. Now, this was where things got really awesome! I didn’t have to make filling for the center and I didn’t even have to scoop it out of a can into one of my piping bags. With Pillsbury Filled Pastry Bags that are found in the frosting section of the baking aisle at Walmart, everything was already done for me! My piping bag was ready and the tip was already in place, allowing me to make something special with the help of my boys with very little effort! After my oldest did his best job of using the Pillsbury Filled Pasty Bag in Vanilla to add just the right amount of filling, I simply added the top to my Quick and Easy Whoopie Pie and they were ALMOST perfect! 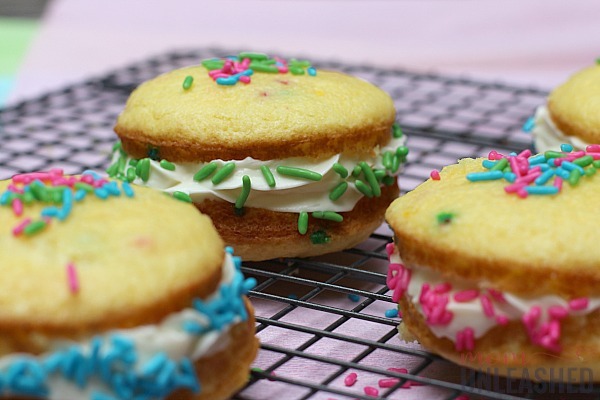 Since I’m a believer that every celebration needs a little color, I grabbed out some sprinkles and added them to the sides of the filling as well as the top of my Quick and Easy Whoopie Pies. In just minutes, we had all 12 Quick and Easy Whoopie Pies assembled to perfection and were able to simply toss the empty Pillsbury Filled Pastry Bag into the trash so there wasn’t even much clean up needed! 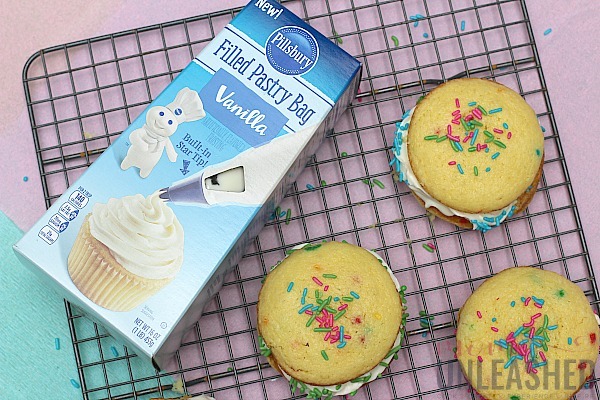 In less than 30 minutes, we were able to create a truly celebration worthy treat all thanks to easy to use Pillsbury Filled Pastry Bags that are new at Walmart! Not only did each of our Quick and Easy Whoopie Pies look amazing but they had the mouthwatering taste that Pillsbury delivers time and time again! After whipping up this fun and easy treat, I’ve decided that I will never look at frosting the same! And I’ll never struggle with all the work that getting perfect frosting can require. Instead, I’ll continue making Quick and Easy Whoopie Pies the simply amazing way with help from Pillsbury Filled Pastry Bags! Are you ready to take those summer celebrations and make them delicious? If you are, I encourage you to pick up Pillsbury Filled Pastry Bags at Walmart! 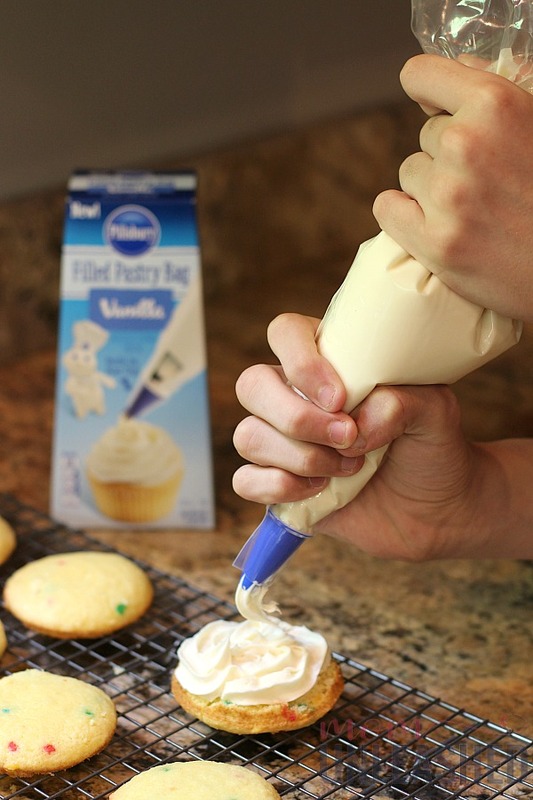 Available in Vanilla, Chocolate and Cream Cheese varieties, these pre-filled bags come with the perfect piping tool already attached, and are a must-have for turning baking into a family affair! Whether you whip up my Quick and Easy Whoopie Pies (which I HIGHLY recommend you try) or come up with your own creation, be sure to start with Pillsbury Filled Pastry Bags! 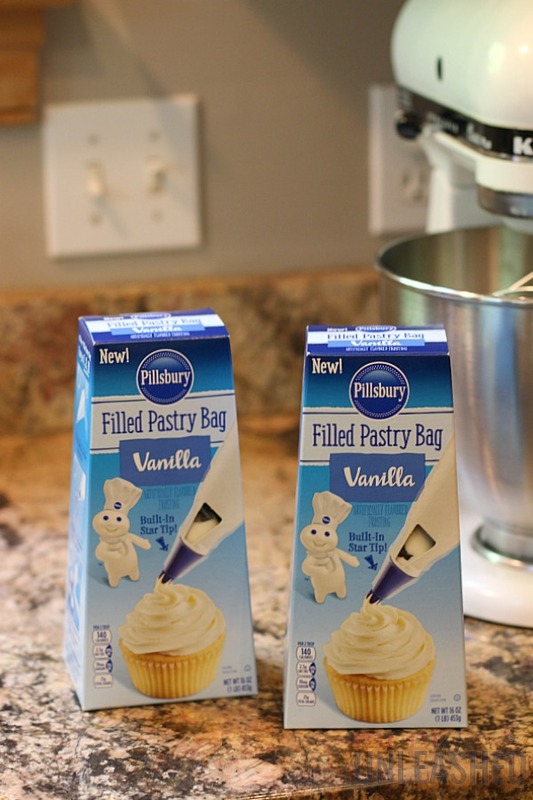 Now tell me, what’s your favorite baked treat that will now be easier to make thanks to Pillsbury Filled Pastry Bags? Whoopi pies come in so many tastes and the filling can be different tastes. We add sprinkles and fruit sometimes. Whoopie pies are a favorite here, but they HAVE to be red velvet ones otherwise my silly kids won’t eat them. I want to make these ones so I can eat them all myself. I love the convenience of the filled pastry bags. I love that they are disposable because I hate washing reusable pastry bags. The whoopie pies look delicious! i love how convenient these pre-filled pastry bags are! And these whoopie pies look delicious. These look so amazing! I’ll make these with my daughter. I love that they are quick and easy. These whoopie pies look soooo yummy. These looks like the perfect girly dessert treat to whip up with my kids one of these summer afternoons. This looks so delicious and a great recipe for the kids to try this summer. I have to add it to our summer recipe bucket list. My kids love whoopie pies and this looks delicious. We got some when we went to the Amish place and they said, they’re the best. I am a complete sucker for whoopie pies but I hate how long they take to make. These ones look absolutely delicious and a breeze to make! I am all up for that. I love it! 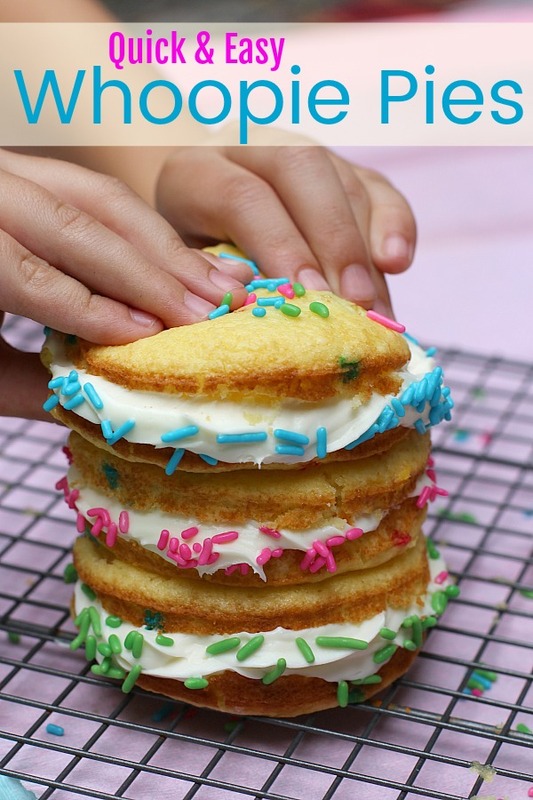 So adorable and easy to make and the best part is that the kids can help make these yummy treats. It’s perfect for summer celebrations! Oh my yumminess. Those look so good. I have never made whoopie pies before. I want to make these! Ive never had whoopie pies before, but this looks so good. My younger siblings would enjoy making these. Oh yum! I bet my kids would have so much fun making these and eating them. I bet I could use the pastry bags to fill mini donuts…gonna have to try! I’m totally going to make these with my girls this summer. I bet they would love them! Oh man! These Whoopie Pies lok yummy!! I may need to try these for myself!! Yum! My 4 year old wants to make these today! They really look delicious, and easy to make. This is something that we are going to have to do when our granddaughter comes for a visit. She would love these. Thanks for this post. I’ve never made my own whoopie pies before! 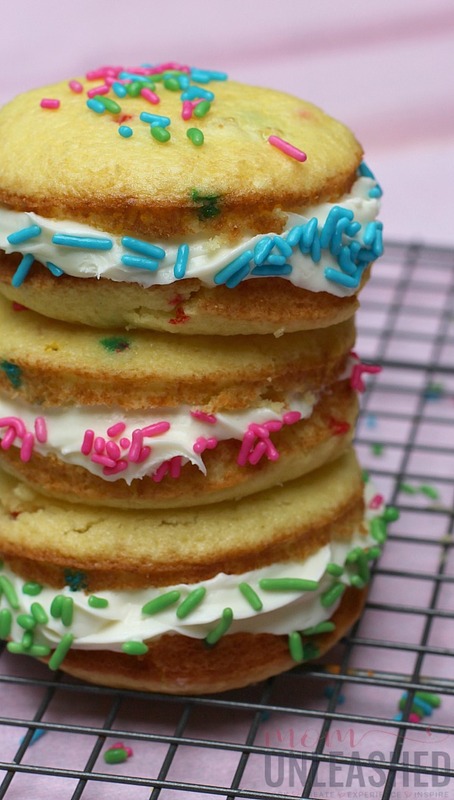 I love the funfetti vibe you gave them with the sprinkles! Such a fun treat. I love the twist of the colourful sprinkles over this. Will try to make this recipe probably over the weekend to offer to my girlfriends who are coming over next week.